Generally, I avoid including the full text from longer poems in my posts and will instead provide a link to the online version, but “Sailing to Byzantium” deserves to be included in full. I decided to include each of the four stanzas and offer my interpretation of each stanza before moving on to the next one. In the opening stanza, there are two things happening here. On one level, Yeats is expressing his disillusionment with the people of Ireland. The younger generations do not appear to appreciate Ireland’s ancient heritage, nor are they interested in the noble pursuit of poetry. But in addition to that, Yeats is hinting at something deeper and infinitely more mystical, which will be unveiled later in the poem. 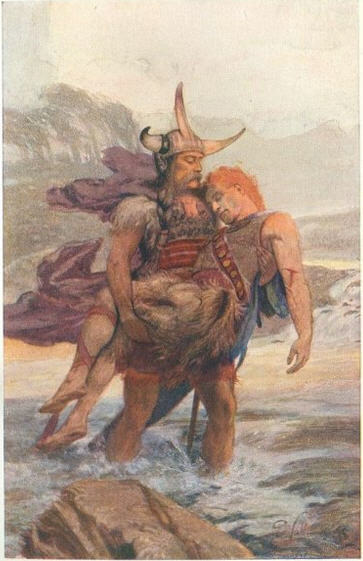 It has to do with resurrection mythology. For now, just keep the images of old men, young people, dying generations, and trees in the back of your mind. Here Yeats asserts that an old man is worthless, unless that aged individual possesses the ability to create poetry. And it must be poetry infused with mystical power, poetry that comes from a source that is divine of nature. In order to tap into that source, Yeats plunges himself into his subconscious mind, symbolized by the “seas,” and navigates those seas of consciousness until he reaches the mystical realm represented by the city of Byzantium. There is a reason why Yeats chose Byzantium as the symbol for the mystical source of his poetry. 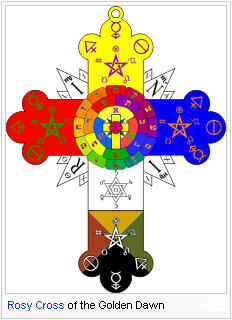 In addition to being the center of classical thought in the late Hellenistic period, Byzantium had adopted the occult symbol of the star and crescent moon as their emblem. This was a result of their devotion to Hecate, whom the Byzantines believed was protecting them. 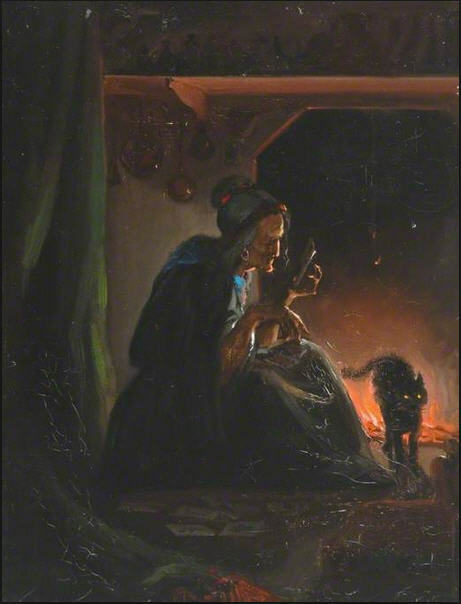 (source: Wikipedia) As a practicing member of the Golden Dawn, Yeats would have viewed this connection as important, since Hecate is the goddess who is believed to endow magicians with power and knowledge. There is a lot happening in the third stanza. The holy fire is mentioned twice, so the importance is being stressed. There are layers of symbolism here. First, the holy fire represents the spark of life, creation itself. It is also illumination and enlightenment. Finally, and most importantly in my opinion, is the association with rebirth and regeneration, like that of the phoenix. The dying god spins within the gyre of flame, preparing to reemerge as a reborn god. As the god is dying and being consumed by the holy flames, the mystic bards sing the verses of the sacred poetry which will help bring about the rebirth of the dying god. At this point, you may be thinking that my interpretation is a bit of a stretch, but reserve judgment until you read the final stanza. Here we have the key to the poem, which is the golden bough. 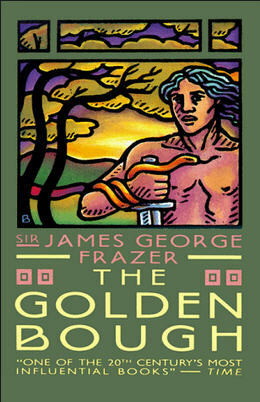 Yeats would certainly have been very familiar with Frazer’s The Golden Bough. Frazer’s book is the quintessential work exploring the mythology of resurrection and the dying god. So the god does not take his “bodily form from any natural thing,” but instead comes from the realm of forms as expressed by the Platonic school of thought. All the golden imagery in this stanza evokes the image of the sacred king, which is the term that Frazer uses regarding the archetypal image of the dying/reborn god. The cycle is eternal; it encompasses “what is past, or passing, or to come.” The imagery from the first stanza of the old men (dying god), young people (reborn god), and trees (symbols of rebirth) are all brought together. The last thing I would like to point out about the poem is the overall structure. The poem is divided into four stanzas. I feel that this was an intentional representation of the four seasons, which is also symbolic of the overall theme of the cycle of birth, life, death, and rebirth. The first time I read this poem in college I didn’t get it, but I remember my professor saying that the more you read poetry, the more you will learn to appreciate Yeats. I’ve come to the point in my life where I feel like I can finally start to fully appreciate the scope of what Yeats accomplished as a poet. I decided to cover a Yeats poem today, so I opened my book of collected Yeats poems and plays and just picked the fist one, which was “The Cloak, The Boat, and The Shoes.” Since it is relatively short, I will go ahead and include the poem in the post. Whenever I read Yeats, I am always looking for hidden mystical symbolism and meaning in his work. He was, after all, a member of the Golden Dawn and actively studied the occult. With this in mind, the first thing that struck me about this poem is the structure. It is broken into three parts and three is a number that is endowed with mystical qualities, such as the association with the Trinity, mind-body-spirit, birth-life-death, and many others. So the structure alone causes me to view this as a mystical poem. Next, I considered the title and what might be the meaning of the three items. If you are looking at this from a metaphysical perspective, the cloak could represent the ceremonial attire worn by magicians. The boat is used to travel across a body of water, and water is a common metaphor for the subconscious mind. Finally, there are the shoes. I had to think about this one, but came to the conclusion that shoes are needed to walk along a path, especially a rocky one, hence this is likely a reference to traveling along a difficult spiritual path. The actual text I found fascinating. The whole poem is a contrast between light and dark, almost like he is trying to balance shadow with illumination. All the words used to describe Sorrow are images of light, brightness, and beauty. This is a stark contrast to the dark and heavy imagery generally associated with Sorrow. 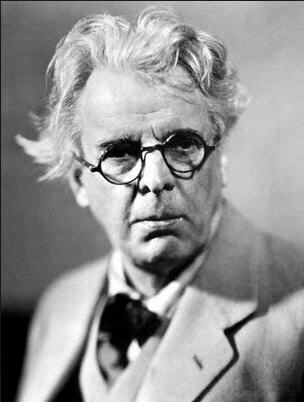 It seems as if Yeats is beckoning the reader to look into the twilight space between the light and the darkness, that hidden there is some occult secret. 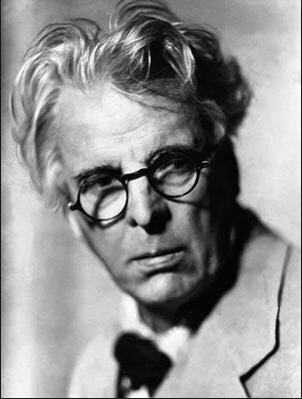 Every time I read Yeats, I remember how much I love his works. There is so much woven into so few words that you continue to discover more and more each time you read one of his poems. He has definitely earned his place among the greatest of the mystic poets.